PolarPro, maker of popular accessories for travel cams and drones, has come out with a unique ND filter system for smartphones. 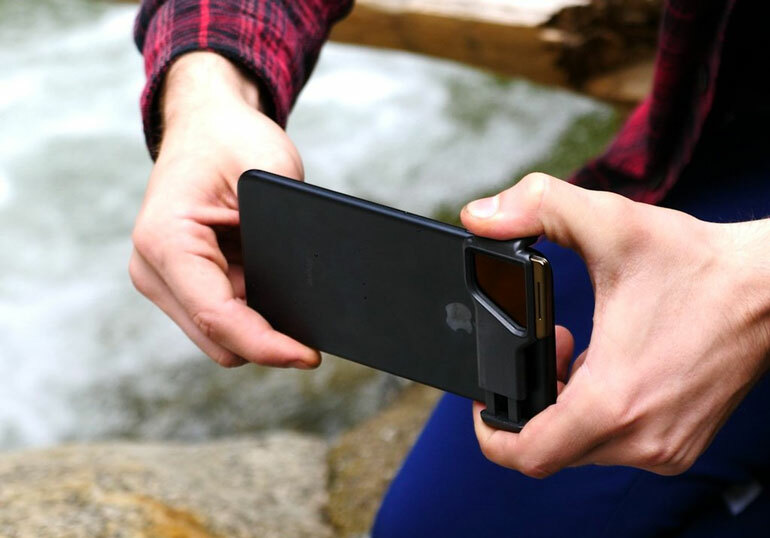 The PolarPro Iris Mobile Filter System is a filter frame that you attach to your phone – with or without a case – and you can then insert swappable ND filters into the frame. It’s essentially like matte boxes for regular cameras. 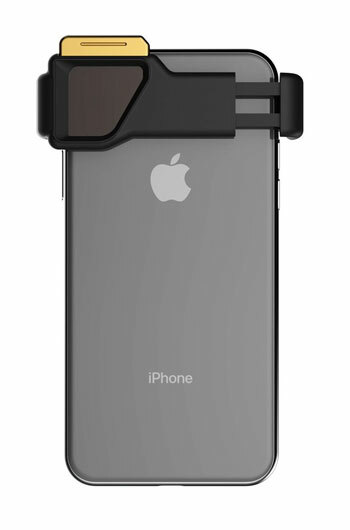 The Iris is compatible with iPhone X, iPhone 7/8 Plus, iPhone 6/7/8, and Pixel 2/2XL. So basically, iPhone 6 or newer. 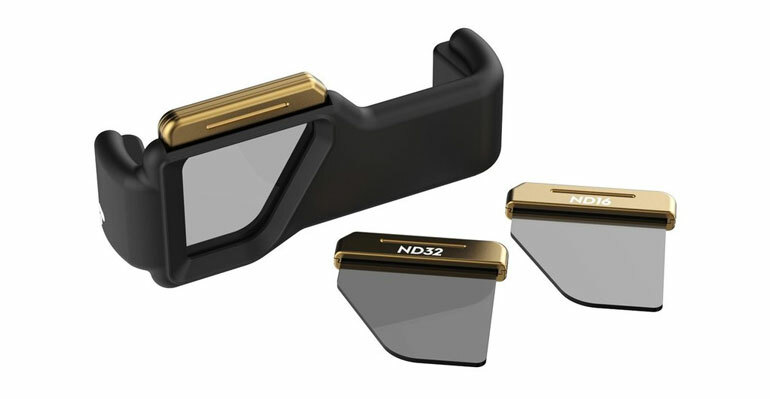 You attach the lightweight frame to your phone, and then you can slide one of three filters in – ND8, ND16, or ND32. There’s also an Expansion Collection, with stronger ND Filters intended for shooting in very bright outdoor scenarios. It includes ND64, ND128, and ND256. In order to control your smartphone’s shutter speed, an app like Filmic Pro is required. PolarPro also recommend ProCamera and ProShot apps. The filters are made out of lightweight aluminum frames, and they have a little grip area above the glass, so you can swap filters without getting your fingers on the filters. As for the glass itself, the filters use what PolarPro calls Cinema Series glass, which they originally developed for their drone filters. We reviewed PolarPro’s Mavic Pro ND Filter and it’s remained one of our most popular articles to date. So there’s definitely a demand for ND filters for drones. After all, they’re essential if you want to shoot with a 180 degree shutter up in the bright sunlight. But are ND filters as essential for smartphone shooting? It’s understandable that drone operators require absolute control over exposure and motion blur, because their footage is often mixed with professional cameras to be used in commercials, feature films, and so on. Correct shutter angle is the difference between cinematic-esque footage and something that looks like consumer drone footage. Smartphones, however, aren’t really used to intermix with professional grade edits. Yes, they’re necessary for citizen journalism and their presence is indisputably important for documentaries and video journalism. But in those scenarios, the audience understands they’re watching shaky smartphone footage, so both audiences and filmmakers can forgive quality in exchange for the unprecedented access they get with smartphones. Anyone who is shooting serious filmmaking on a smartphone will of course see the huge benefit in the Iris. But we’re not sold yet on the absolute necessity of 180 degree shutter for smartphones on a mass level, like we have with drones these days. 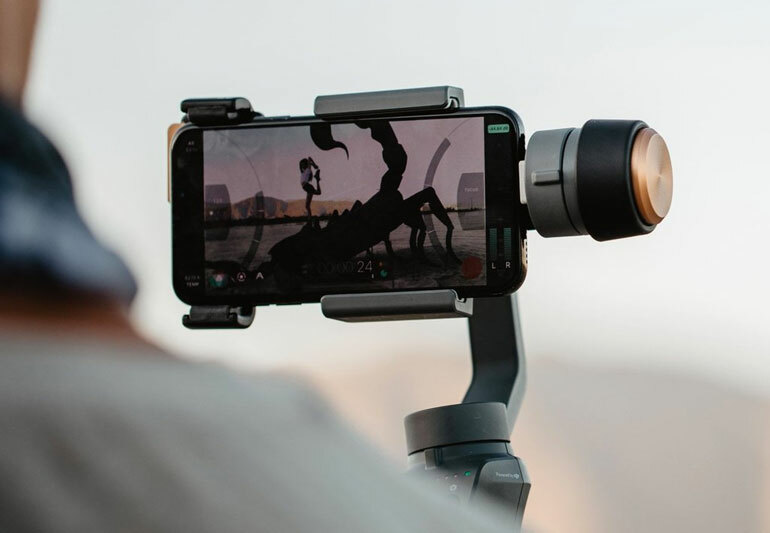 Now, if you were hoping to start using your smartphone as your gimbal camera, perhaps on a DJI Osmo Mobile 2, then yes, the PolarPro Iris is the thing that makes it possible for you to dump your other gimbal cams. With an ND filter and one of the apps, you can get very good 4k footage with the phone’s wide lens. The Iris system is lightweight, but you will still need a small counterweight for the added bulk of the ND filter. 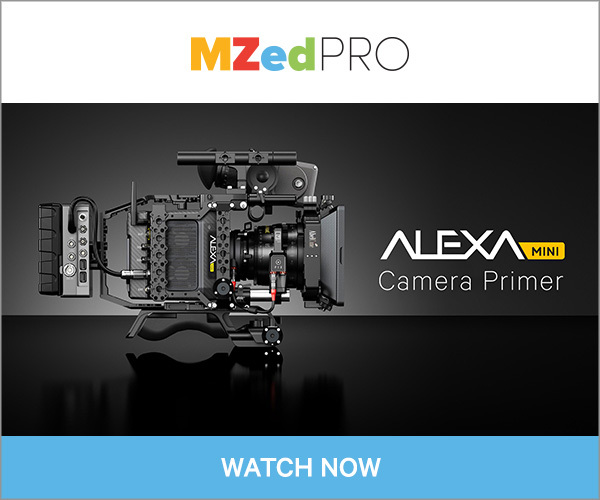 Thankfully, PolarPro has created a custom Osmo Mobile Counterweight. The Osmo Counterweight works with both the Osmo Mobile 1 and Osmo Mobile 2. It weighs a massive 35g, and can be used with the iPhone 7 Plus, iPhone 8 Plus, and Pixel 2 XL. There’s definitely a use case for the expansion line of filters for long exposure photography. With ND 128 or ND256, you can turn down your shutter speed and achieve a very nice motion blur. 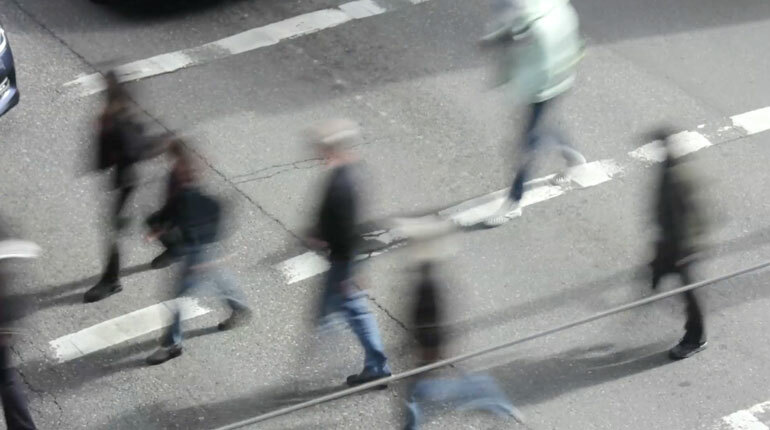 Not just for water and nature shots, but for scenes where you want people blurred as they’re coming and going. That’s been our preferred way to shoot timelapses in offices, on city streets, and so on. 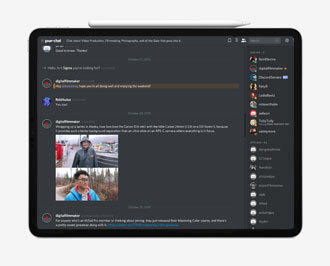 You get scenes of motion, without individual faces. There’s a special quality to a little motion blur in a timelapse. Actually, maybe that’s a really good case for the PolarPro Iris – using an old smartphone for timelapse in public settings. You could position a smartphone in out of the way places, hang it from the side of a building with a GorillaPod, you name it. That’s much easier than trying to hide your DSLR in the middle of a public street. Lensball Review – Is This Crystal Ball in Your Future?